Earlier this year, Josh Perry of FusionForge Consultants won the video contest meant to highlight the impact adults can have on children. Each submission was a video “testimonial” in which the contestant described an adult who significantly influenced their life. Josh’s winning video was about a volunteer named Ray who brought knowledge, passion and excitement to a Junior Achievement economics course he taught at Josh’s high school. 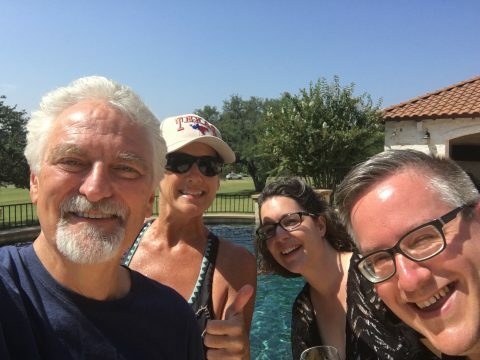 First prize was a day with Ivan and Beth Misner in Austin, TX. 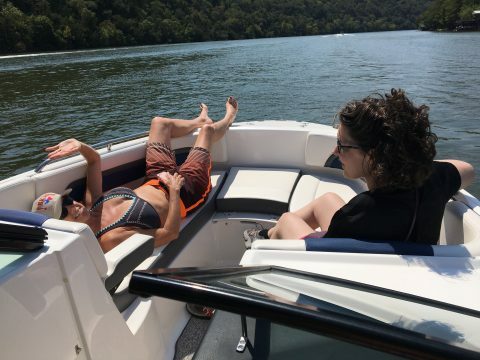 Josh and his wife Kay Perry had the opportunity to spend the day with the Misners at their home. 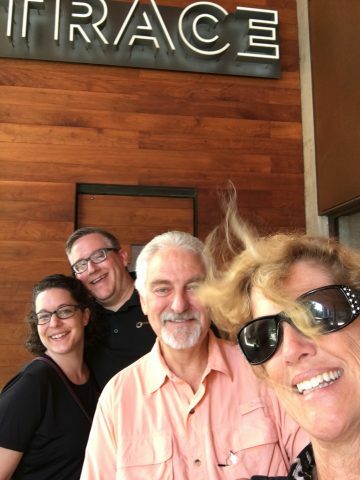 The day started with breakfast at Trace Restaurant in downtown Austin. 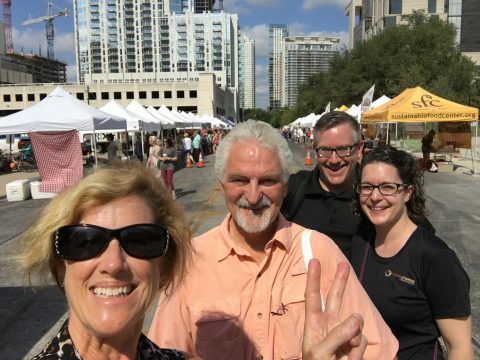 Next was a trip to the Farmer’s Market, also in downtown Austin. There they purchased food from the Misner Plan for lunch. 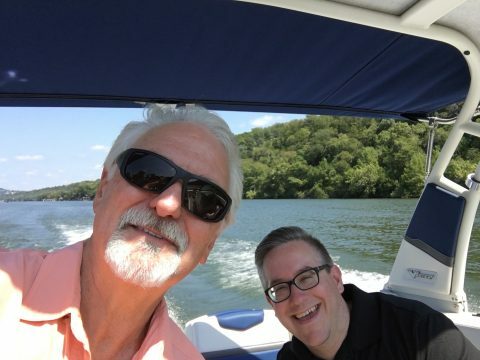 That was followed by a long boat ride on Lake Austin. The rest of the afternoon was spent floating and hanging out at the Misner’s pool where they had lunch. 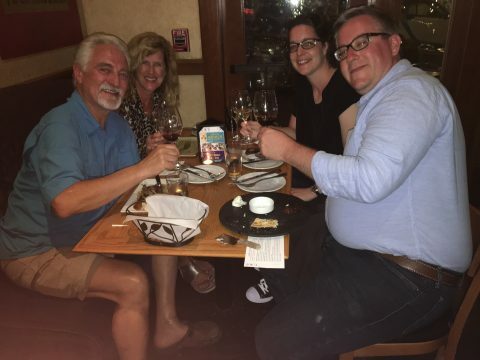 The day ended with a wine tasting and dinner at Cru Restaurant in downtown Austin. Congratulations to Josh Perry and his wife Kay. It looks like a great time was had by all.